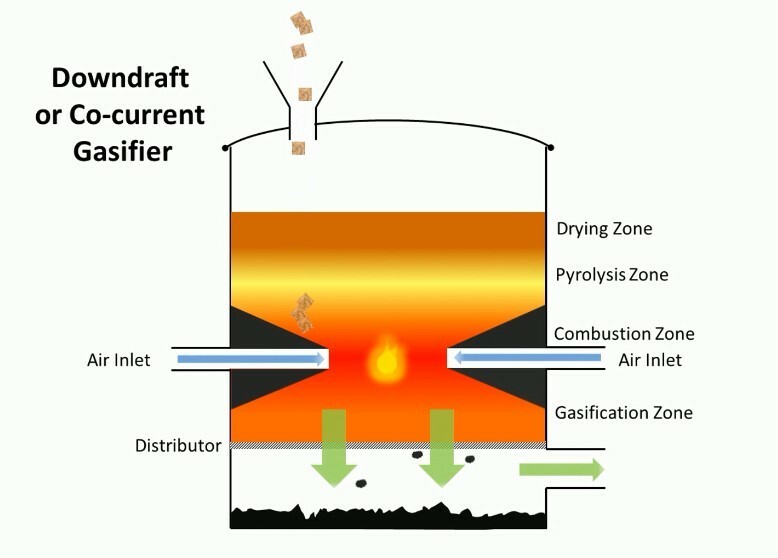 In a downdraft gasifier the fuel is loaded at the top and a fire is lit in the bottom. A suction blower draws in air either through an air jacket or down through the top. The incoming air allows partial combustion to take place in the lower hearth area. 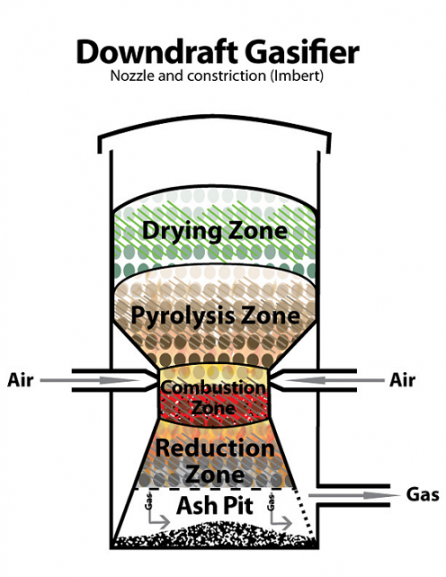 The heat from that combustion produces pyrolysis above and reduction below. Once the gas leaves the hearth it's piped out to the cooling and filtration system before being used for work. 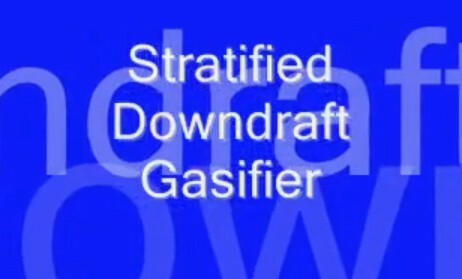 Downdraft gasification generally produces a low particulate and low tar gas so it is suited for power generation in small scale applications. 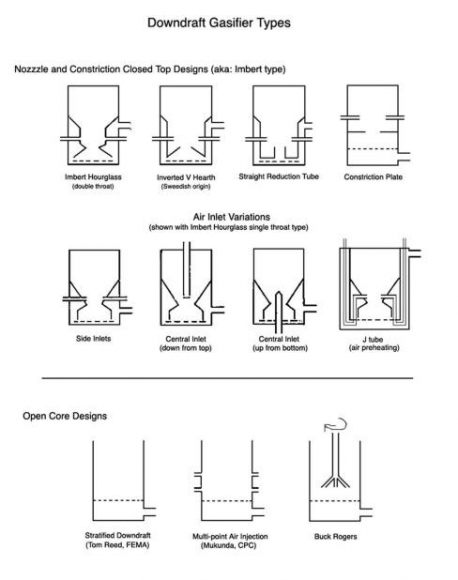 The four basic processes of gasification are noted below.